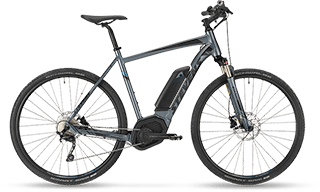 No more excuses for a bike tour you missed out on. 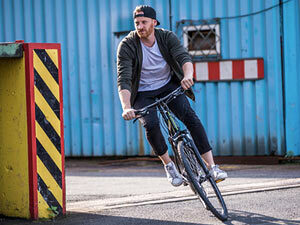 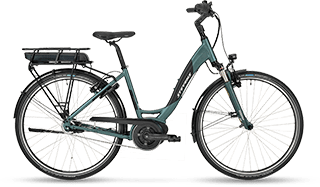 There will be only riding fun with our tour pedelecs. 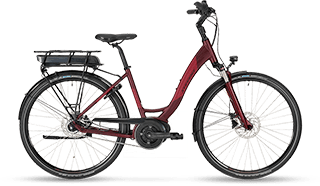 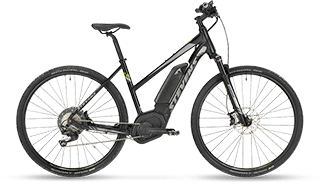 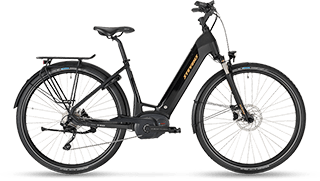 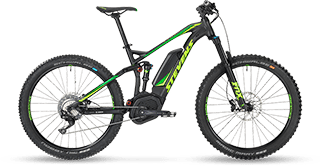 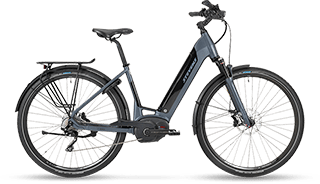 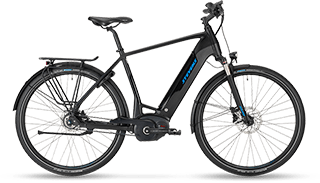 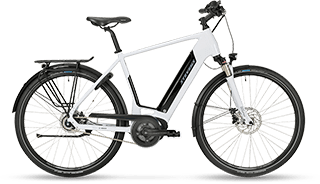 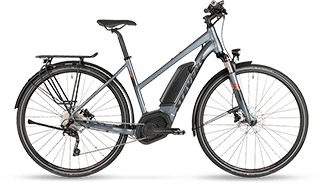 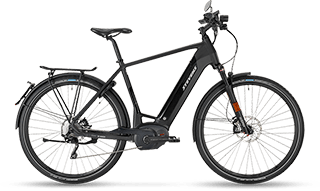 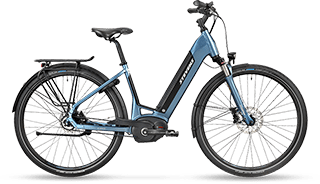 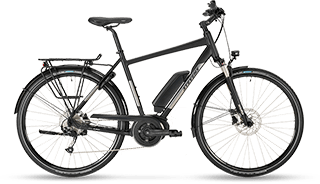 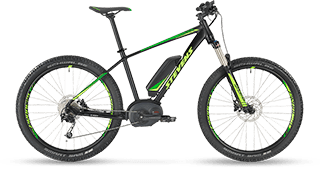 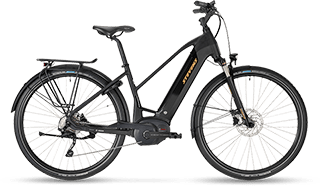 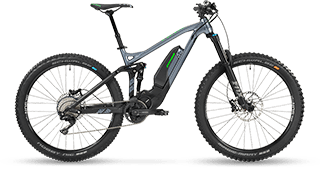 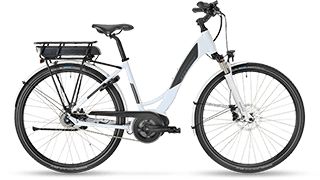 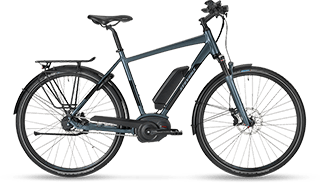 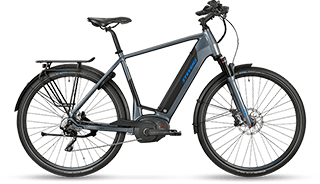 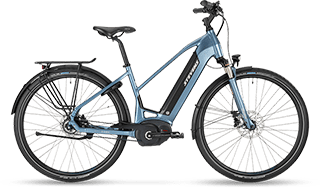 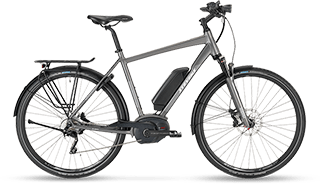 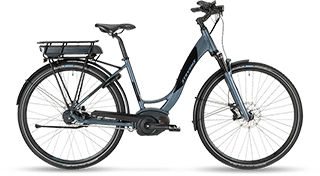 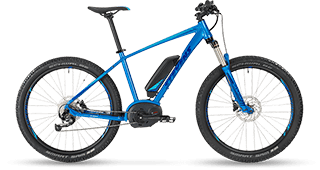 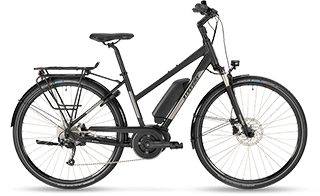 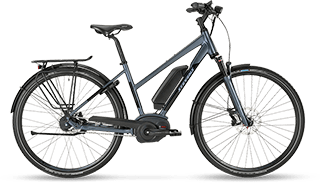 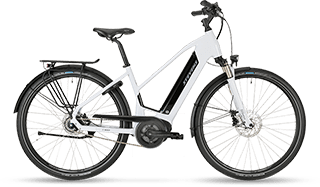 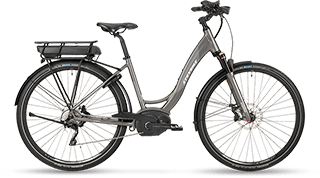 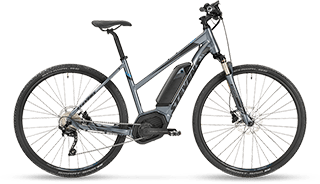 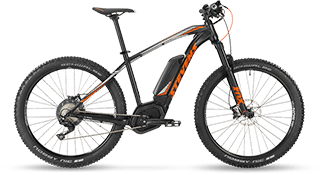 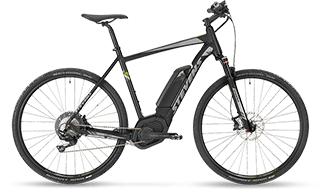 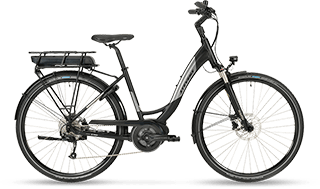 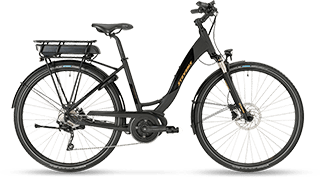 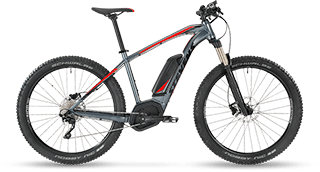 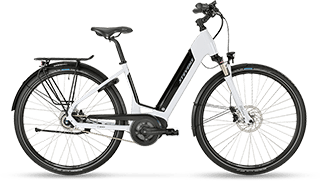 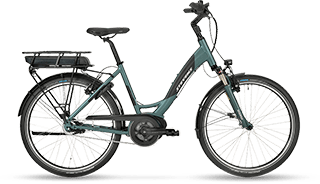 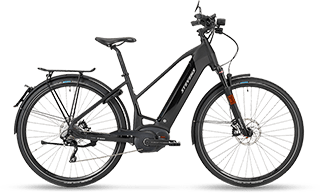 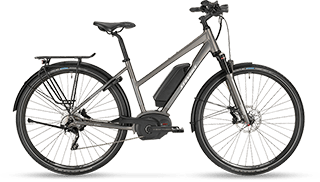 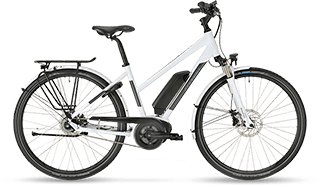 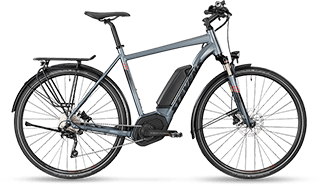 They have roadworthy, stiff aluminium frames and are equipped with a powerful Bosch drivetrain as well as strong hydraulic disc brakes. STEVENS city pedelecs amalgamate the perfect attributes for a maximum in riding and handling comfort: Our experience in building top notch bikes suitable for daily use, Bosch's expertise in electric drive systems and thoughtful integration of decisive components.This results in perfect synergy of E-motor and pedal force. 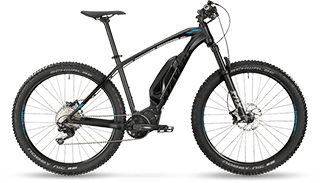 Planning for your mountain bike tour with an e-hardtail will be very different. 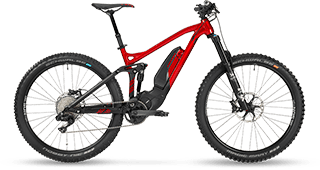 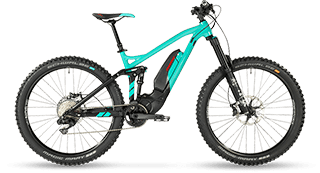 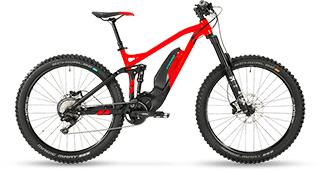 STEVENS e-hardtails are pushing the ride envelope, they turn steep mountains into shallow hills and offer just as much fun as mountain biking can be. 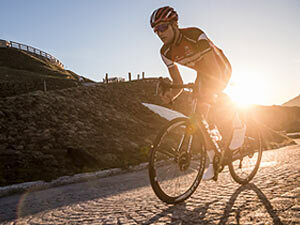 Just a little higher, farther, faster, and - if you want - more relaxed.